Written by Ed Rush, George Cromarty, T Bone Burnett, Justin Timberlake, Joel and Ethan Coen, and performed by Justin Timberlake, Oscar Isaac and Adam Driver. Are you reading me loud and clear? And who’ll play catch out in the back with our kid? Please don’t shoot me into outer space! 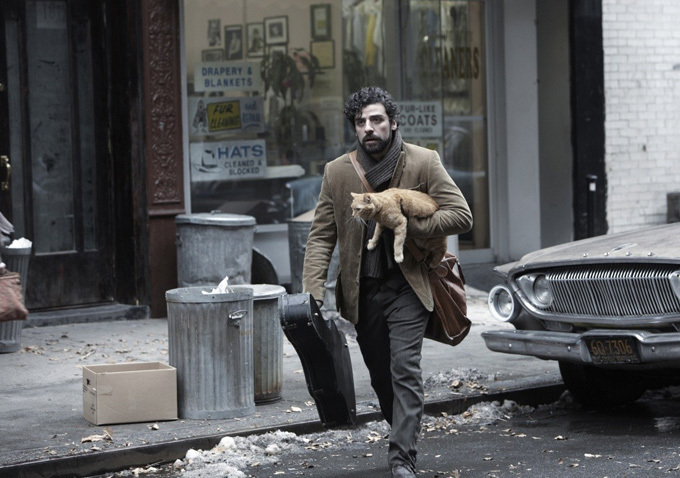 Inside Llewyn Davis is much less plot driven than other Coen Brothers movies. Essentially a slice-of-life film, the movie follows struggling folk singer Llewyn Davis (Oscar Isaac) as he tries to make it as professional musician in New York circa 1961. A good singer and guitar player, Llewyn’s inability to catch a break is partly the fault of the decisions he makes and is partly the fault of Fate. I first became aware of Oscar Isaac as an actor when he was cast as Prince John in Ridley Scott’s Robin Hood and I marked him then as an actor to watch. Since then, Isaac has gone from strong performance to strong performance, usually playing dark, brooding characters. Here Isaac is supported by an outstanding cast including Carey Mulligan as his lover, Jean, an unrecognizable Justin Timberlake as Jean’s husband, Jim, and Force Awakens co-star, Adam Driver, as Al Cody, another aspiring folk singer. A special shout out to actor Stark Sands for his portrayal of G.I. Troy Nelson. Sands doesn’t seem to be playing Nelson as much as he seems to have time-traveled to the set from the 1960s. If you enjoy the music heard in the film, you may be interested in Another Time, Another Place, a folk music concert put together by the film’s music producer, T Bone Burnett. Sadly, the concert doesn’t include my favorite song from the movie, “Please Mr. Kennedy (Don’t Shoot Me into Outer Space)”, a parody of ’60s novelty songs written especially for the film. 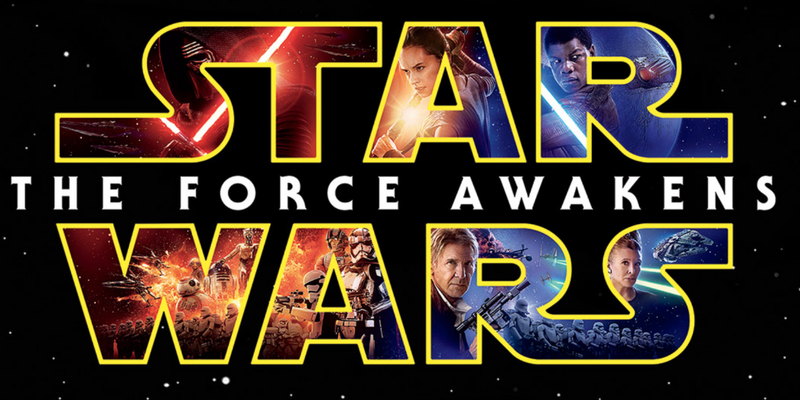 Let’s cut directly to the chase: I found “Star Wars: The Force Awakens” to be good, but not great. The storytelling seemed somewhat choppy and the whole film came off as underdeveloped–as if it was an outline of the action rather than a fully fleshed out story. That being said, there were enough potential interesting story directions to keep me thinking about the film for days afterwards. Daisy Ridley as Rey. Ridley is both charismatic and compelling in the role of Rey, the young scavenger who finds herself caught up in the fight between the Republic and the First Order. The graveyard of warships on Jakku. The rendering of the inside of the wrecked ship that Rey explores. Humanizing the Storm Troopers and turning them into Janissaries (the slave soldiers of the Ottoman Empire). Oscar Isaac as Poe Dameron. Isaac is a gifted enough actor to give a lot of depth to his character. Harrison Ford as Han Solo. The older Han, kicked around by life, is still one of the most interesting characters in the film. BB-8. I realize that he’s just an R2-D2 knockoff, but for something that’s essentially just two rolling balls with no English dialogue, you really become attached to the character. The potential storylines that weren’t followed up on. The film only hints at Leia and Han’s tragic history and I would have liked to have seen that more developed. The constant parade of brilliant actors who are being given next to nothing to do. Case in point, Captain Phasma (Gwendoline Christie). Painting the antagonists as bad and the protagonists as good without any nuancing or shading. There has to be something compelling about the First Order that makes people join up and stay with the organization. What is it and what is the Republic not offering? The lily-whiteness of the casting which is disturbing in this day and age. Tokenism isn’t progress, folks. All of the aliens seem to be in bars, very few seem to be either part of the First Order or the Republic Forces, and Finn seems to be the only black man in the galaxy. 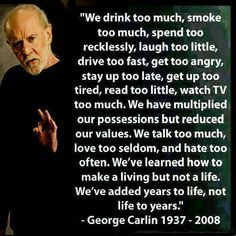 The guys-only feel of the whole cast which again is disturbing in this day and age. What, they couldn’t have cast half the Republic pilots as women? And what’s wrong with making General Hux female? Or Poe Dameron? I counted only four named female characters out of the entire cast and three of them–Leia, Maz, and Phasma–were in supporting roles. In many ways, Abrams’ interest in harking back to the original film also means harking back to outdated gender and racial constructs. General failure to explore the “civil war” aspects of the story. Inherently, the Star Wars films are about the breakup of the old Republic into two groups who then conduct a wide-ranging war against one another. Civil wars are always messy, pitting friends and family members against one another, but the only family that seems to be affected by this dynamic is the Skywalkers. Speaking of the Skywalkers, when are they going to be outed as enemies of the state? From Anakin on down, no member of that family seems to be able to have a personal crisis without wreaking destruction throughout the galaxy. Okay, okay, I realize that particular plot development isn’t going to happen, but couldn’t one of the other characters at least allude to it? Princess Leia’s costumes. C’mon, guys, just because Carrie Fisher is an older actress doesn’t mean she shouldn’t have a flattering costume and hairstyle. The uniform and braids aren’t bad, but the dress and bun she wears at the end of the film are far too matronly for her. All that being said, I’m looking forward to the next Star Wars film and seeing where Abrams is intent on taking the story. 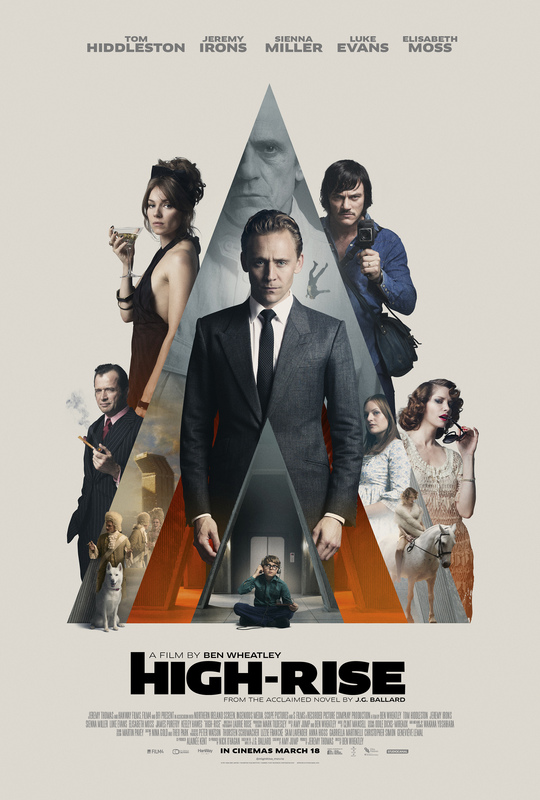 In High-Rise, Dr. Robert Laing (Tom Hiddleston) moves into an apartment in a new, ’70s style apartment complex which looks rather like a gigantic heating vent, one of five such structures built around a lake. The architect of the ghastly concrete buildings, Mr. Royal (Jeremy Irons), explains that structures are supposed to be fingers with the lake as the palm of a giant hand. The metaphor is meant to suggest that humanity is resting in the Hand of God, but, as the society within the tower devolves into anarchy, you can’t help but wonder if humanity isn’t being crushed by the Hand of Technology. One of the questions I asked myself as a viewer is “why don’t the residents simply leave when things start to get bad?” I think that the answer must lie in author J.G. Ballard’s experiences as a young man. As a boy, Ballard was interned along with his family in a Japanese prison-of-war camp after the invasion of Shanghai in World War II. The surreality of the war zone and the sudden collapse of a well-ordered society is a recurring motif throughout his fiction. Viewed through that prism, the high-rise of the title is a prison camp, one that people are confined to by society. Like prisoners, they can leave to work, but they return to their cells every night. Their lives are dominated by the dysfunctional realities of the camp. In the movie, it’s not clear why basic services begin to break down, but as they do, the prisoners are not able (or willing) to take any effective action to resolve the situation. The residents break into factions who then war against one another. If there are any heroes in this picture, it is the women, perhaps because as women, they are not part of the power structure. It is the women who band together to take care of the children and help each other. By contrast, the men are either fending for themselves or conducting various acts of violence. 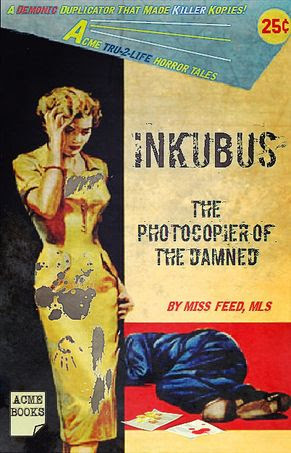 Every library has at least one demonically-possessed copy machine …..
What kind of scholarly book doesn’t have an index? Do they actually expect me to read the whole thing?